With Readly you can read The Mod Years and thousands of other magazines on your tablet and smartphone. Get access to all with just one subscription. New releases and back issues – all included. Possibly the most enduring expression of a youth culture, the Mod movement has spawned its own fashions, music and a lifestyle that refuses to go away. Mods homes in on the colourful history of the Mod and brings the story bang up-to-date, calling in on the various ‘mod revivals’ along the way. 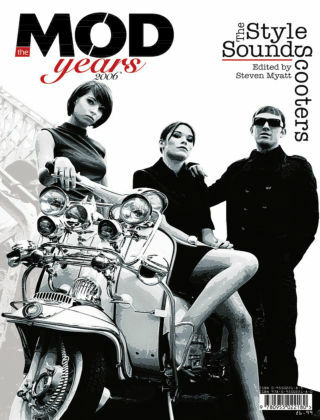 From the lovingly crafted scooters, to the bands who provided the soundtrack to millions of lives via the fashions and people who made - and still make - the Mod scene so vibrant, Mods tells the story like it really is.